On the bank are river boats. 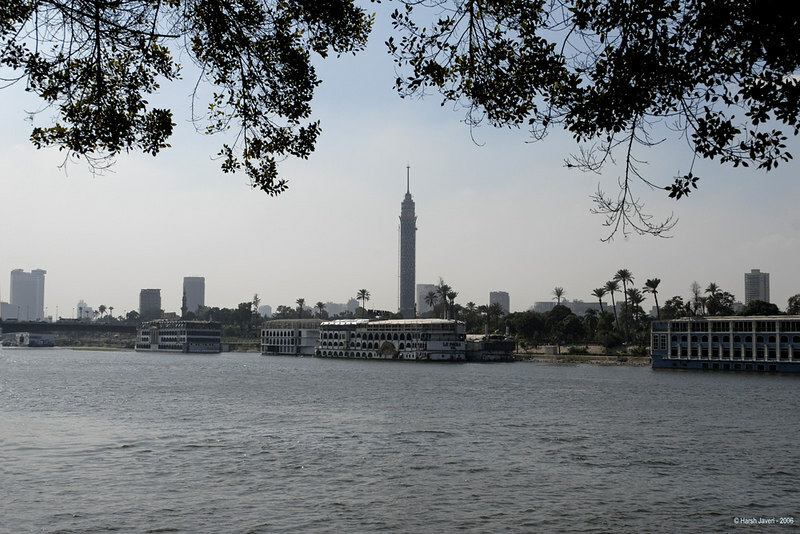 Some offer an evening ride down the Nile with dinner and dance programs. Great shot; the trees seem to frame the top of it well! !